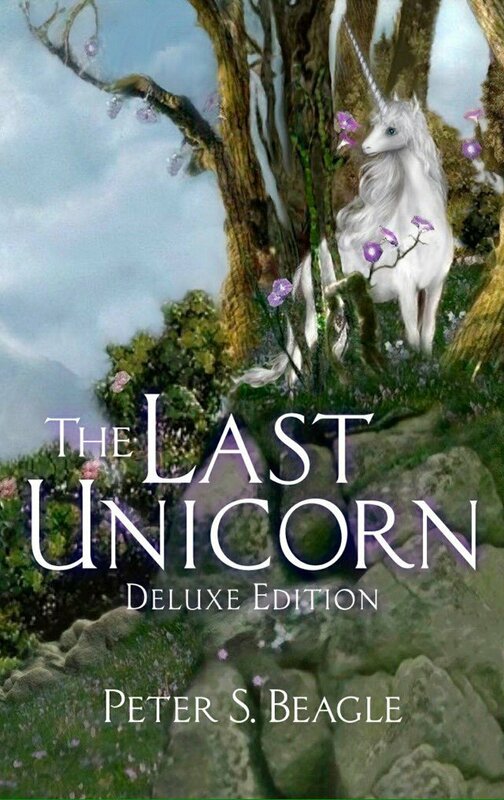 The Last Unicorn is one of those stories that I only really heard of after I started venturing out onto the Internet a bit more, and even then I seemed to find mostly artwork of the eponymous unicorn, with surprisingly little about the actual story. So when I got round to actually reading it, it had become a weird kind of amorphous non-entity: apparently a really beloved classic, but with little actual substance that I could see and figure out why people liked it. It is a regular eternally spring day for the unicorn, when she hears a message that she can't bring herself to ignore: that she is the last of her kind in the world. Venturing from the safety of her forest, she sets out to find out what happened to others like her. Joining her on her journey are Schmendrick, the world's worst magician, and Molly Grue, an indomitable spinster. But the three of them may not be enough to combat the terrible Red Bull that stalks the land of the miserly King Haggard. What I'm about to say probably won't make much sense. Because I had a copy of the deluxe edition, my edition of The Last Unicorn came with a lot of additional material, including an introduction and an interview that hammer in one point about the writing process for this book: it was a complete chore and it took years before Beagle could look at it and admit to himself that it was any good. And while I did like what I read, I think that there is a part of that struggle that shows through the writing. The Last Unicorn is a truly beautiful book at several points, but as a whole it kind of left me emotionally cold. I don't know what it was, but despite enjoying it, The Last Unicorn probably won't be high on my list of books to re-read any time soon. It's like watching a dancer who is technically flawless, but who doesn't enjoy performing anymore and hits her cues more out of obligation than anything else. The parts that I liked were the points where the fairy tale stuff was juxtaposed by the moments of crushing reality: the spider crying in the night having discovered that it can't weave the moon in her web, or Molly asking why the unicorn only turns up in her life after her youth and loveliness have already left. The more traditionally fantasy elements, regardless of how self-aware they are, seem to be there more to fit the story structure. It is really well written though, so I would be interested to see some more of Beagle's work, perhaps something that hadn't been such a struggle for him.